The region, with many forests and few major cities, represents the last, best chance for the state to protect salmon and restore them to healthier levels. The region is still home to 50 percent of the state’s unlisted fish. The healthy, natural environment supports businesses that rely on the land and waters for logging, farming, fishing, and recreation. Salmon in the region are at historically low numbers, impacted by climate change affecting stream flow levels, historic logging roads depositing excessive sediment in streams, and invasive weeds choking riverbanks. Projects focus on increasing the resiliency of salmon. Recent accomplishments include replacing fish-blocking culverts, opening dozens of miles of quality habitat; protecting hundreds of salmon habitat acres in coastal watersheds; reducing flood risk by reconnecting rivers to their floodplains; reintroducing large woody materials into the system. An escalation in restoration accomplishments in Coast rivers has occurred through the Washington Coast Restoration and Resiliency Initiative that puts citizens to work restoring the lands and waters they depend upon. The Department of Ecology finds that this region has the least extent of streams with high levels of human disturbance in the riparian zone and the most large wood placed in streams. Nevertheless, about two-thirds of the region’s salmon, trout, and steelhead streams contain too much fine sediment and most of the regions’ streams have low volumes of wood. Too much fine sediment harms salmon by smothering fish eggs and changing the shape and route of the stream. The sediment also can carry copper or other chemicals that can be harmful to salmon if in high concentrations. A lack of large wood in streams harms salmon by enabling high quality spawning gravels to wash downstream, and reducing stream capacity to provide fish cover or hold flood waters. The Department of Ecology tallied large wood pieces in 70 randomly selected streams of the region during 2010 and 2014. Data from most (40) of the sampled sites show low volumes of large wood in the streams when compared to natural conditions. The Coast region has the most wood placed in the streams studied. These projects help to counteract the damage from historic logging practices and stabilize the movement of sediment in the watershed. The Department of Ecology measured stream biological integrity for the region. The percent of the region that was represented by good Benthic Index of Biological Integrity (BIBI) scores changed little from 2010 (34 percent) to 2014 (37 percent). BIBI scores are based on the relative counts of invertebrate species living in streams. They reflect overall stream conditions, as related to water temperature, sedimentation, contaminants, and more. The Coast region has just one-third of streams in ‘good’ stream biological health with a slight increase between 2010 and 2014. Stream biological health of its rivers reflects the need to improve food resources available for young salmon. More monitoring is necessary to determine if there is a trend in the region for the BIBI. Department of Ecology data indicates that excessive fine sediment occurs in about two-thirds of salmon and trout habitat of the Coast region. Fine sediment consists of particles on the stream bed that are sand size or smaller. Fine sediment is “excessive” when a stream bed has more than what salmon and trout prefer. 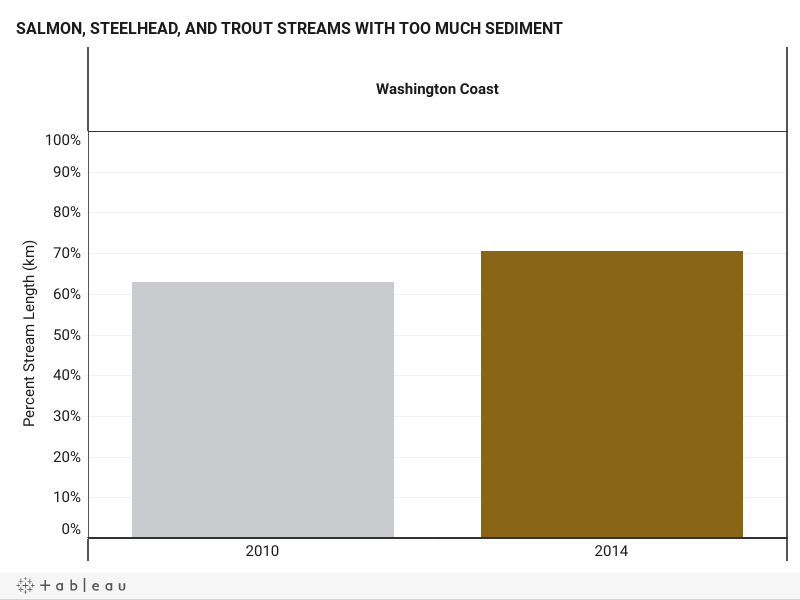 The percentage of the Coast region’s salmon and trout habitat with excess fine sediment was similar between 2010 (63 percent) and 2014 (70 percent). More monitoring is needed to determine if there is a trend. Southwest Washington, including the Coast Salmon Recovery Region, has some places with high levels of copper in stream sediments.  Sources are unknown and could in part be natural. Copper affects how fish smell to find food as well as sense danger. Consequently, fish exposed to high copper levels are more vulnerable to being eaten. Department of Ecology estimates that only about 1 percent or less of the Coast salmon recovery region has high human disturbance in the riparian zone. This suggests that the region still has places that it can preserve and protect for the benefit of salmon. The Department of Ecology estimated that more than two-thirds of the Coast region has good riparian cover for the streams studied. The estimate was essentially unchanged from 2010 (71 percent) to 2014 (70 percent). For more information about habitat project actions, visit the Recreation and Conservation Office’s Habitat Work Schedule and Project Search public databases.